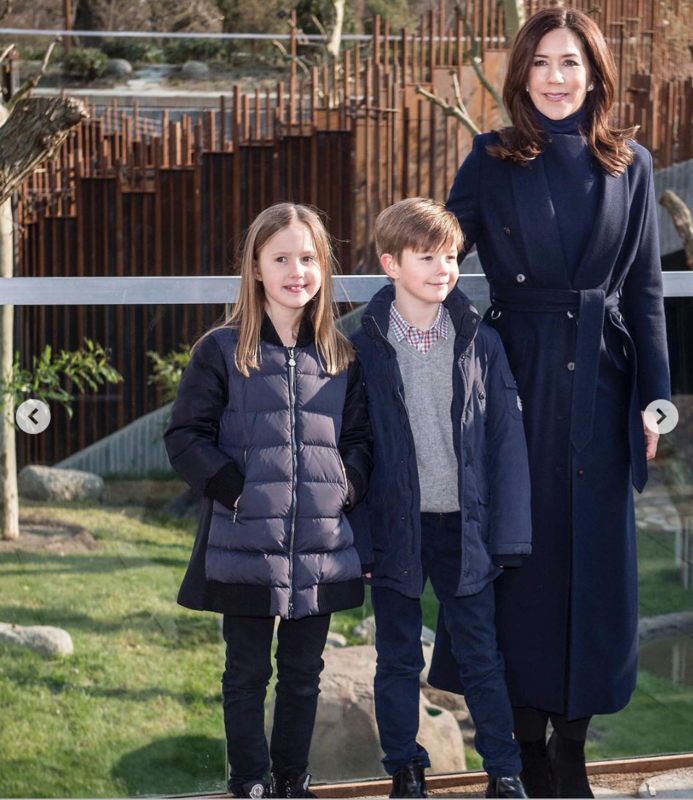 Princess Mary looked stunning on the family outing. Source: Getty. Princess Mary usually takes on royal engagements with adult members of the Danish royal family but this week the doting mother changed things up and brought along two of her beloved children. 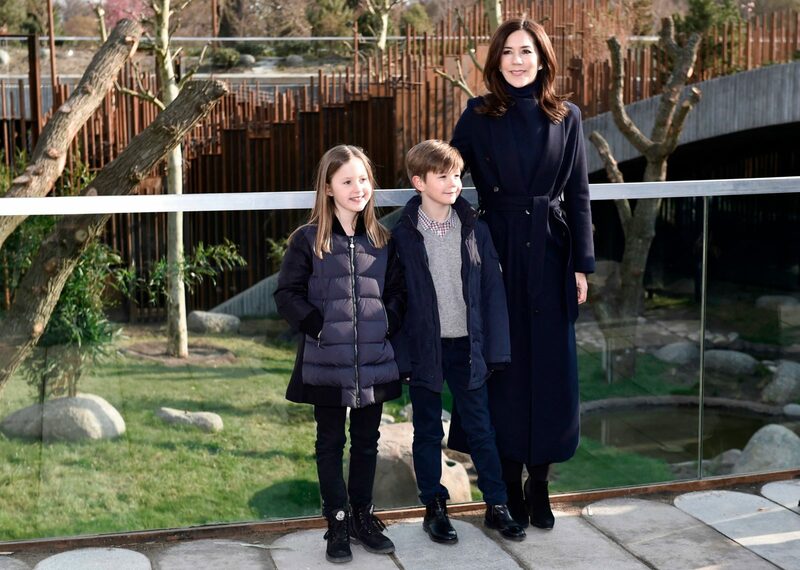 The 47-year-old stepped out on Thursday with twins Prince Vincent and Princess Josephine to the Copenhagen Zoo. Mary had visited the zoo the previous day with her mother-in-law Queen Margrethe II for the official opening of a new panda facility which houses pandas Xing Er and Mao Sun. The pandas were gifted to the zoo by the Chinese Government on a loan basis as a symbol of friendship between the two countries. Princess Mary stopped to pose with her two youngest kids. Source: Getty. But the mother-of-four decided to take a trip there again with her kids in tow as people across Denmark were welcomed in to view the new area. The trio were treated to tour of the facility which was designed by architect Bjarke Ingels. The Danish royal family took to social media to share photos from the family day out with snaps of Josephine and Vincent meeting the adorable pandas. In one image the twins can be seen looking intently into the enclosure to view the pandas adjusting to their new home. While in another Mary can be seen standing proudly alongside her two kids with the new area behind them. Prince Frederik’s wife rugged up in some warm winter wear for the occasion, sporting a long black coat and boots. Meanwhile, Josephine, 8, chose black pants and a big comfy jacket, alongside Vincent who wore a checkered shirt, grey knit and navy jacket over the top. The night prior Mary swapped her glamorous gowns for a more cosy outfit for a visit to the zoo with the Queen. 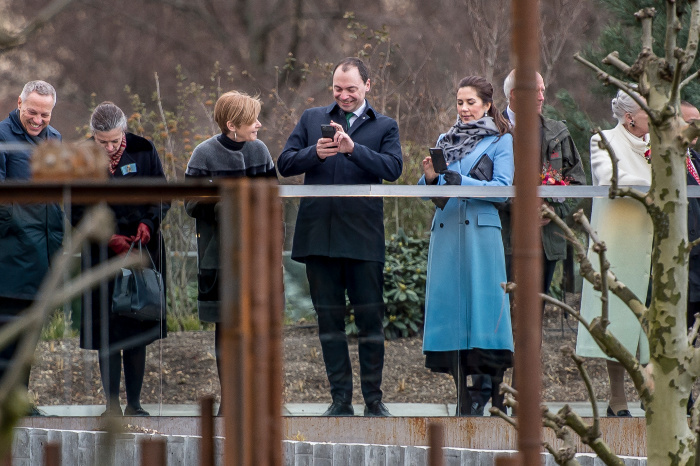 The Aussie-born royal rugged up in a long, light blue coat with a grey and black patterned scarf and black gloves, as she stepped out in the cold Denmark weather. Mary paired the outfit with black stockings and simple black heels, while she kept her jewellery to a minimum with a pair of dangly pearl earrings. After welcoming the pandas to their new enclosure, Mary, who is patron of the zoo, and the Queen were given a tour of the facility. Are you a fan of Princess Mary and her family?